These strawberry custard tarts are the perfect balance of fresh fruit and sweet indulgence, ideal for an afternoon tea party. 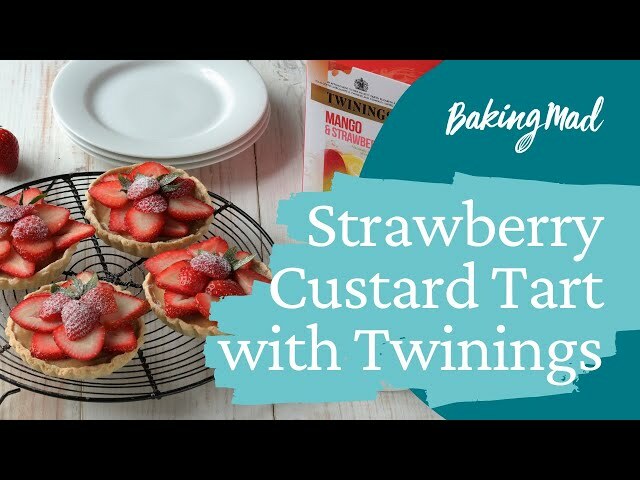 For an additional strawberry flavour the custard has been infused with Twinings mango and strawberry fruit tea. Roll out the pastry and line 4 individual 10cm tartlet tins, trimming any excess pastry that overhangs the sides. To make the custard; heat the cream in a saucepan over a medium heat until it reaches boiling point, then add the teabags and remove from the heat to stew for a few minutes.